Originally from Louisville Kentucky, Shawn came to New York City to attend New York University’s prestigious Stern Business School. After completing his MBA, he combined his passion for adventure with his expertise in technology and business to found Adventech, LLC and Zip-Flyer, LLC. Since its inception, Adventech, LLC and Zip-Flyer, LLC have been designing, manufacturing and installing top-of-the-line adventure equipment worldwide. Shawn has become known for his cutting-edge technological designs that provide extreme thrills for participants – drawing power, low cost, profitability for the customers/operators – while simultaneously providing an unparalleled safety. 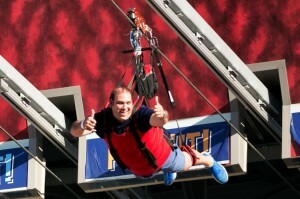 Among his many creations, Shawn designed the first zip line for use aboard a cruise ship. Shawn currently has 4 patents pending. Dan joins the Zip-Flyer team with an extensive background in the climbing and adventure recreation industries. His love of climbing and outdoor pursuits have driven his career. 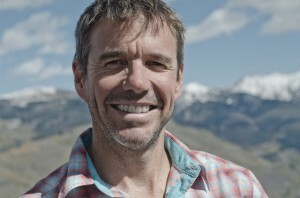 He co-founded American Wilderness Gear in 1999…a blend of e-commerce and outsourced customer service for outdoor retail vendors. 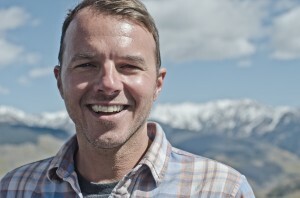 He spent time as a climbing guide and also as a climbing buyer for a major US outdoor retail chain. He recently immersed himself in the zip line world as the Director of Sales and Distribution for Head Rush Technologies. Peter grew up in Switzerland and moved to Canada in 1998. Peter has over 20 years of experience in the cable and steel construction industry. He started pulling cables for his Dad’s skyline logging business. He also worked several years for a steel construction company. Since his move to Canada he’s been working on projects for Doppelmayer CITEC and Leitner-Poma. Installing and Servicing Tramways, Chairlifts and People Movers. In 2011 Peter joined Zip-Flyer LLC as VP of Field Operations. Peter loves to travel and spend time with his family and when he has free time he follows his passion for cars. After managing and operating four canopy-tour-style parks, Mike has been heavily involved in training and safety in the zip line industry. Mike has a focus on high rope safety in operations practices, as well as a construction/rigging capacity that ensures that all operators are well versed when wokring at height. Certfications in NFPA, SPRAT and IRATA round out Mike’s qualifications. After graduating from the University of Maryland Scholars program, Alyson has worked for almost 10 years in Advertising in New York City. Born and raised in Long Island New York she has always had a passion for arts and creative design. Together with her husband Shawn, she has discovered a new enthusiasm for adventure and the outdoors. She has taken this excitement to bring the intelligence behind Zip-Flyer strategy, marketing and PR campaigns.